Neelakurinji flowers bloom once in 12 years between July and October. It will be the Neelakurinji season in Kerala soon, when the blue flowers will blossom across the hills of Munnar in Idukki district once again after 12 years. The over-a-decade-long blooming cycle of the flower makes it a rare spectacle, to witness which thousands of people flock to the picturesque hill station. The tourism department of Kerala expects a footfall of over 800,000 travellers during the season this time. Neela means the colour blue, and Kurinji is the local name for the flower. Neelakurinji (Strobilanthes kunthiana) blooms in all its glory once in every 12 years, unleashing a visual extravaganza as the mass flowering paints the hills blue during July to October. Commonly found across the Western Ghats, the flower had its last blooming season in 2006. While a total of 46 varieties of Strobilanthes are found in India, Munnar has the largest concentration of them. 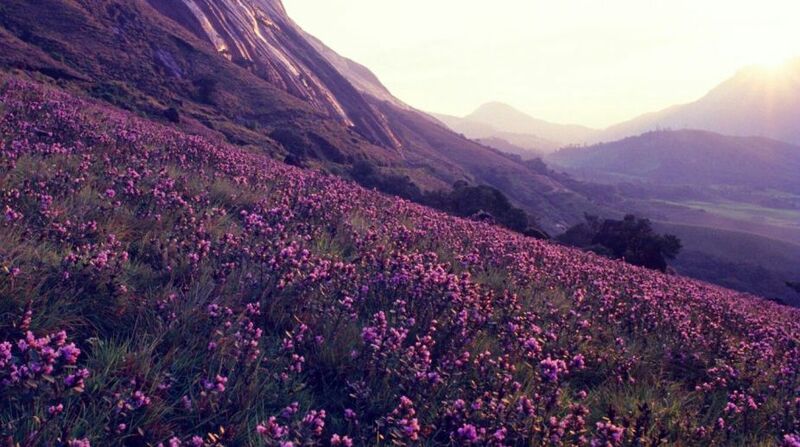 “There is no better time to visit Munnar than the time when Neelakurinji plants bloom en masse. As many as 628,427 tourists had visited Munnar in 2017 with an increase of 34.31 percent as compared to 467,881 vacationers in 2016. The Tourism Department is expecting a growth of 79 percent in tourist arrivals to Munnar this year. This unique lifecycle of the plant makes the hills a must-visit destination for travel enthusiasts,” says P. Bala Kiran, Director, Department of Tourism. Tourists visiting the state during this time can also spot the majestic Nilgiri Tahr, an endangered mountain goat endemic to these hills. Tour planners and adventure clubs usually organise trekking in these hills during the Neelakurinji blooming season. Anamudi Peak, the tallest peak in south India with one of the best trekking trails, and the “first-of-its-kind” Eravikulam National Park where the endangered Nilgiri Thar is protected, are some of the nearby attractions. The Eravikulam National Park is the main Neelakurinji flowering area where only a select number of tourists are allowed every day. 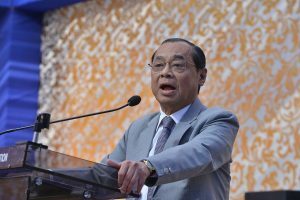 While approximately 2,750 visitors are allowed per day during the rest of the year, the authorities would allow additional 40% footfall during the flowering season. Kerala Tourism claims it has been undertaking several steps to improve the infrastructure in Munnar to accommodate the high number of vacationers at Neelakurinji hotspots. Vehicles will be regulated and provided with adequate parking space, and arrangements will be made for hassle-free waste management. Perched at a height of 1600 m above sea level, Munnar is nestled between the confluence of Mudrapuzha, Nallathanni and Kundala streams, making it one the most sought-after tourist destinations in India.